Ask any person who’s never traveled to Brazil what he knows about the country and it’s likely that one of their first responses is: Carnival (or Carnaval in Portuguese). 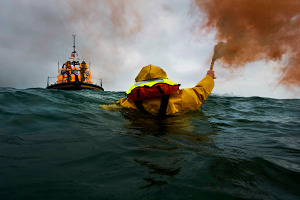 It's no wonder: Carnival is one of the largest celebrations on the planet. As a Brazilian, I can also say that it represents much of what’s wonderful about our country—joy, cultural richness and musical diversity. From Feb 7-12, YouTube will bring Carnival to the world for the third year in a row—giving you a front-row seat to the entire celebration on the YouTube Carnival channel. What better way to experience a party the size of Brazil than by connecting to the rhythms and local traditions of six different cities—from Rio de Janeiro’s samba and Salvador’s axé to southern Brazil’s frevo. This year, you’ll be able to enjoy the festivities of Salvador, Rio de Janeiro, Olinda, São Luís do Maranhão, Ouro Preto and Pirenópolis. Pick from a series of live feeds, camera angles and performances from the city of your choice, right in the middle of the party. Channel feeds are made possible by a combination of YouTube Live and Google+ Hangouts. In total, you can access a total of 150 hours of live Carnival feeds—from your laptop, tablet or smartphone. YouTube from Rio de Janeiro—From Feb 8-12, you can dance as much samba as you want, as you watch the attractions of the Circo Voador concert hall or check out the calmer celebrations of Terreirão do Samba, a venue that receives various samba musicians and afternoon concert sessions throughout the year. YouTube from Salvador de Bahia—For the third year in a row, you’ll be able to check out the best of Salvador’s famed Carnival route, Barra-Ondina. However this time, you’ll be able to choose from four different camera feeds located throughout the Carnival route, so you don’t miss your favorite carnival band. Follow Salvador’s most famous carnival artists such as Claudia Leitte, Chiclete com Banana, Asa de Águia, Ivete Sangalo and others as their mobile stages advance through the circuit. Everyone knows that a good party generates great photos. 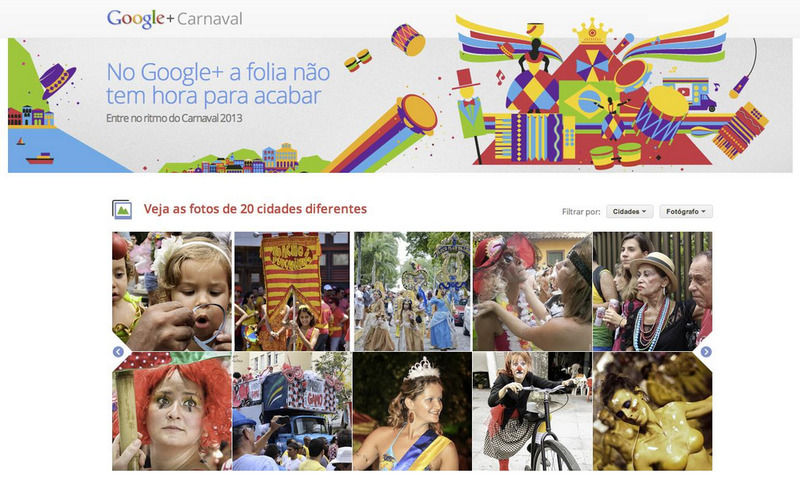 That’s why we’ve also joined with photographers who will be uploading pictures daily of Carnaval’s best moments from 20 different Brazilian cities at Google+ Carnaval. Find the entire agenda of this year’s Carnival events at www.youtube.com/carnaval. 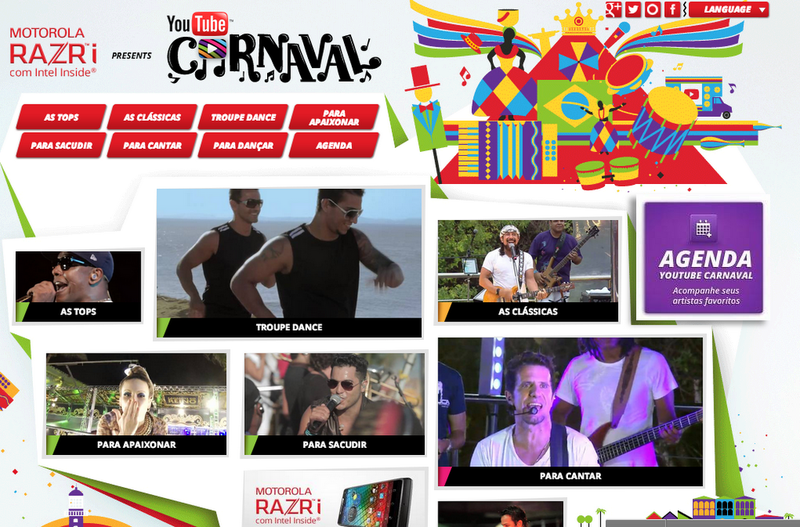 To keep track of your favorite events and the artists you want to see, download the Carnaval 2013 extension from the Chrome Web Store, and make sure not to miss a beat.